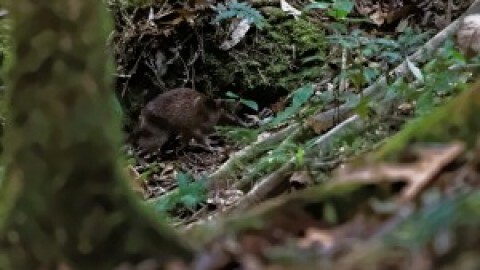 Good news for some rare mammals this week including Gilbert’s Potoroos (Australia’s rarest mammal though not quite so rare now as they once were) and Hirola, which are also coming back from the brink. Meanwhile bad news if you are a Dutch porpoise, but good news for Dutch seals! An interesting article on the use of sonar by fruit bats and, finally, some footage of what may just be the most exciting mammal watching spot in all Europe.